Members of the Filipino-Canadian community in Surrey, British Columbia, located within Metro Vancouver in Canada, are excited to have one of their community leaders, Narima dela Cruz, handpicked by Surrey First, a local political organization, to run for City Council. Dela Cruz is running on the same ticket with incumbent City Councilor Tom Gill, a candidate for mayor who has the support of former Surrey Mayor Dianne Watts. Incumbent Mayor Linda Hepner, another Surrey First member, earlier announced she would not seek reelection. A licensed realtor and founding director of the Surrey Philippine Independence Society (SPIDS), where she serves as president, she is backed by Mable Elmore, the first Filipino elected to the British Columbia legislative assembly. 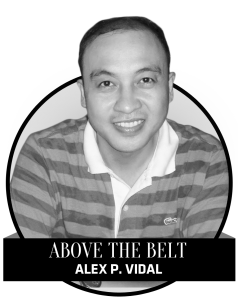 Prior to founding the massively-expanding organization, Dela Cruz was an active community servant and worked as an administrative assistant. An immigrant from Quezon province, she and her family, her husband and son, arrived in Canada in 1998. Their daughter was later born in the Canadian province of Manitoba. She has since been named among Canada’s top 25 immigrants in 2012 and won the Real Estate Board of Greater Vancouver’s Realtors Care Award in 2011 for her volunteer work. Among her other accolades include the FilCan Network for Truth & Justice Leadership Excellence Award, Canada 150 Community Award for Excellence in Volunteerism, CEU Outstanding Alumni and Global Exemplar Escolarian Awards, Sutton Group Director Award for Sales Excellence, Bb. Pilipinas of the World’s Most Outstanding Filipinos in North America, and Surrey-North Delta Leader 1st Reader’s Choice Award. She has also been nominated for a YWCA Women of Distinction Award, First Surrey Cares Serving with Distinction Award, 1st National Canadian Realtors Care Award, and Surrey Women in Business Award; along with an honorable mention in the CLA Surrey-North Delta Leader-Community Leader Awards. In 2012, Dela Cruz was recognized in the Most Beautiful Filipinos in Canada Awards. Meanwhile, another Filipino-Canadian running for office is Jojo Quimpo, who is running for a seat on the Vancouver City Council under the Non-Partisan Association.